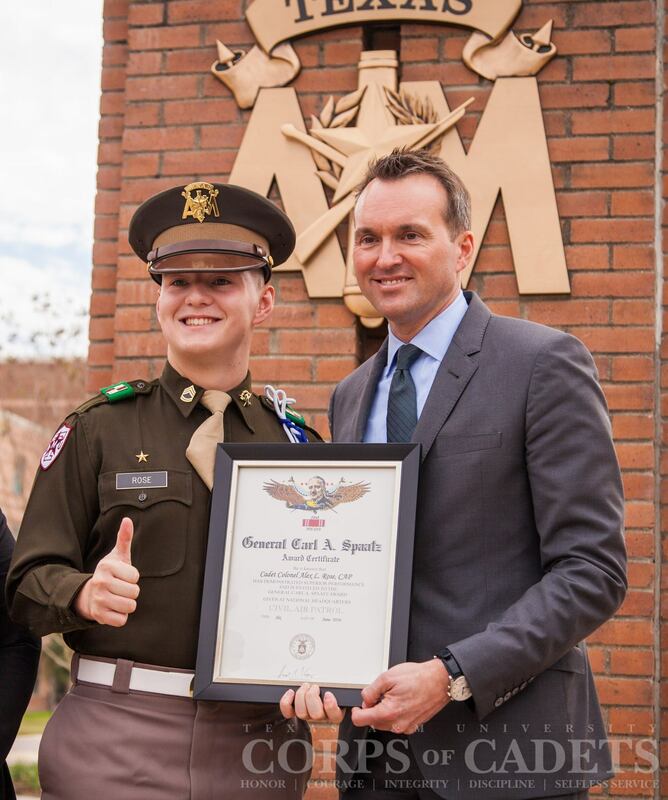 On November 11, 2016, C/Col Alex Rose was presented with his Carl A. Spaatz Award (#2048) by current Secretary of the Army, The Honorable Eric Fanning. C/Col Rose is currently a Junior cadet at Texas A&M University and is contracted with the U.S. Army to commission as a Second Lieutenant upon graduation in May of 2018. He plans to commission into the Military Police in preparation for a legal career with the U.S. Army JAG Corps. C/Col Rose has been in CAP for five years with Seacoast Composite Squadron and NH Wing (NER-NH-010.) In CAP, he has served as Cadet Staff at National Blue Beret, on Northeast Region CAC, and has commanded the 2015 NH/VT Summer Encampment and Academy.